Send us an email at aieacommunity[at]gmail[dot]com. If you’re trying to get in touch with us about the ‘Aiea Christmas Parade or the ‘Aiea Christmas Fun Fair, please send the email to: aieaparade[at]yahoo[dot]com. You can send us mail through the US Postal Service at: ‘Aiea Community Association, P.O. Box 2785, ‘Aiea, HI 96701. 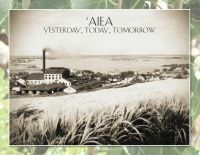 Thank you for your interest in the ‘Aiea Community Association!